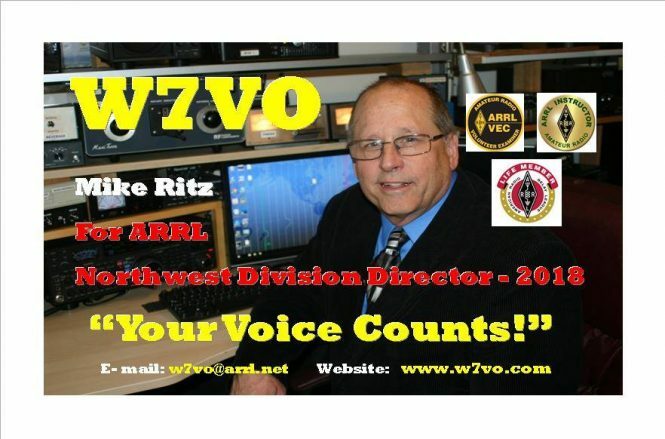 Our guest presenter for the September meeting will be Mike Ritz, W7VO. Mike serves as president of the Willamette Valley DX Club and is running for ARRL Northwestern Division Director. Please bring your questions for Mike and let’s see what his platform would be as our voting member on the League’s board. Details about our monthly meetings and a catalog of past programs are available on the Monthly Membership Meetings page.